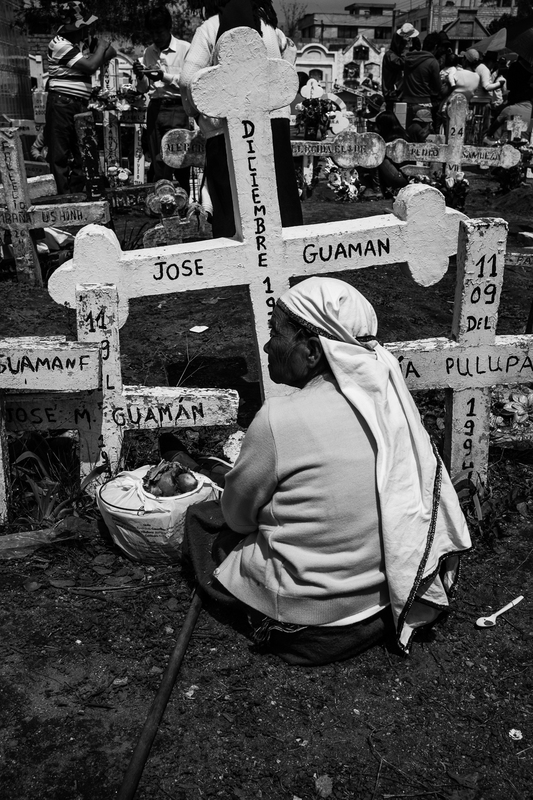 The most traditional celebration of All Souls Day in the Quito area takes place just outside of the city in the rural community of Calderón. 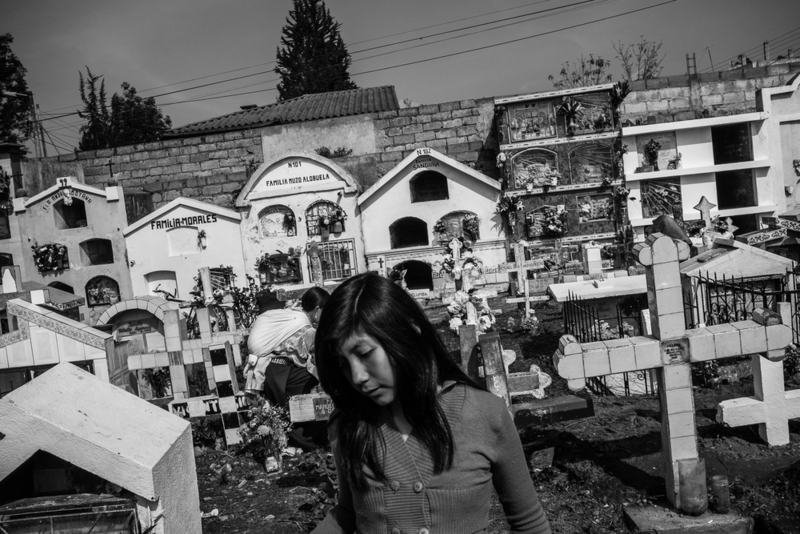 One of the many examples in this region of the syncretism of indigenous Andean culture and Catholicism, every November 2nd the families of loved ones buried in Calderón's cemetery gather there to beautify their grave sites and celebrate their memory. All photos ©Bear Guerra. 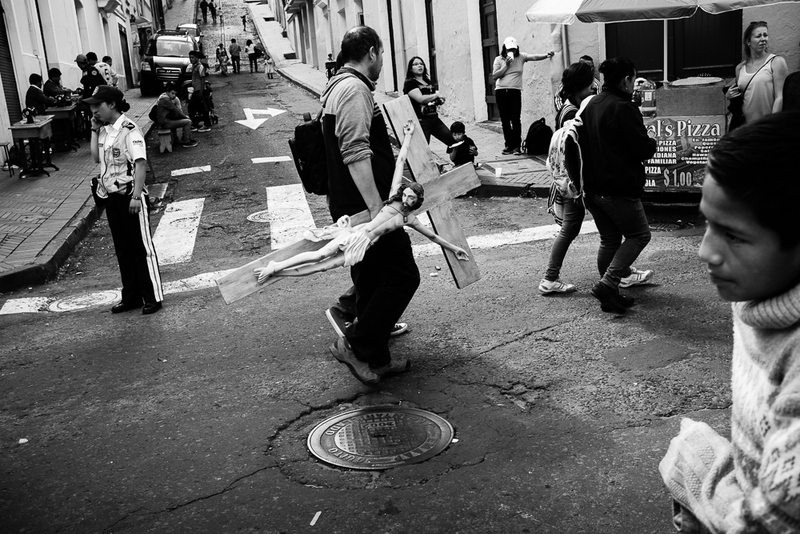 A small glimpse of the last day of Guápulo's largest street party, in Quito. Images from Sunday, 06 September 2015. © Bear Guerra. In the grand finale of the three-day festival -- which became a local tradition in 1587 -- a girl and a boy (the queen and the king) paraded down Guápulo's steep and narrow main street alongside dancers dressed as clowns and gorillas, while a brass band played on and people threw oranges into the crowd. It was straight out of a Fellini film. 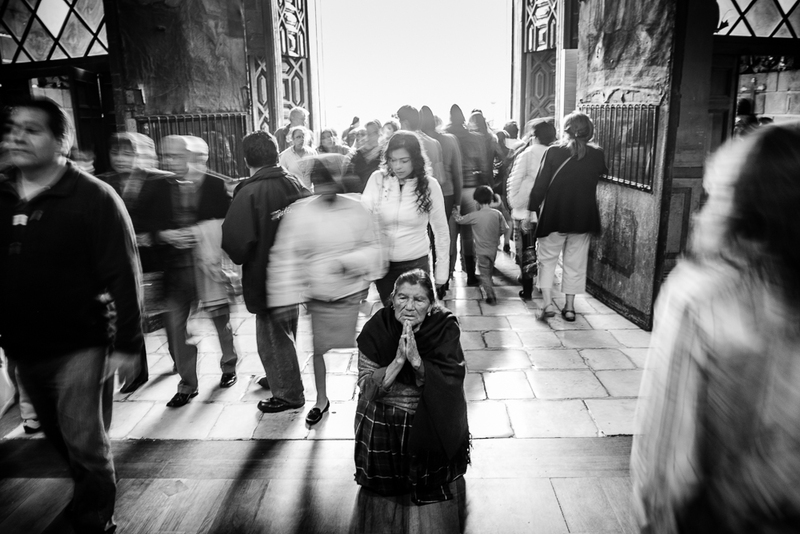 Religious fervor and theatricality could be felt all over Quito's historic center this week. 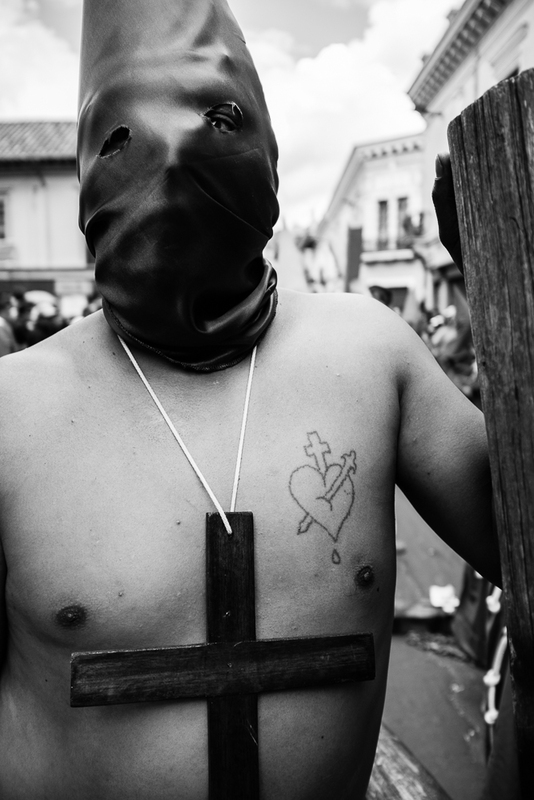 Semana Santa, or Holy Week, brought thousands into churches and out to the streets of Ecuador, where an estimated 80% of people identify as Catholic -- one of the highest rates in Latin America. 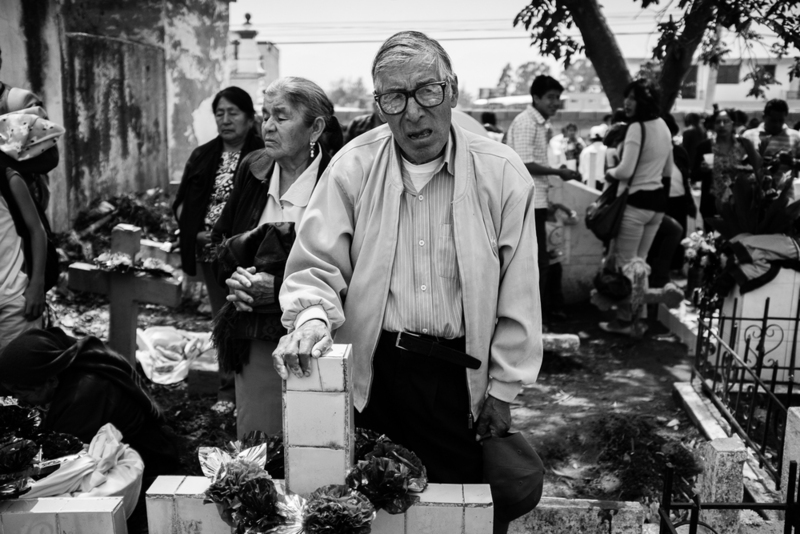 Photos by Bear Guerra. 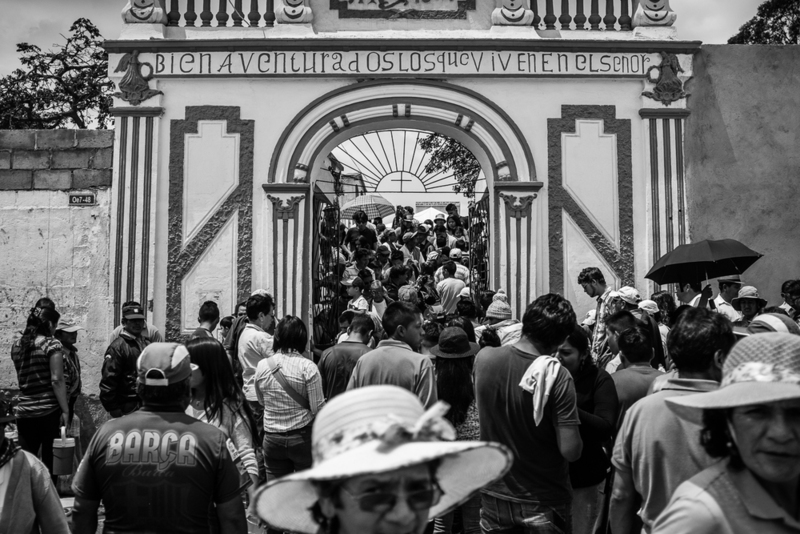 Bear has been busy with a new documentary photo project at the historic Mercado de San Roque in Quito. Check out the slideshow here. 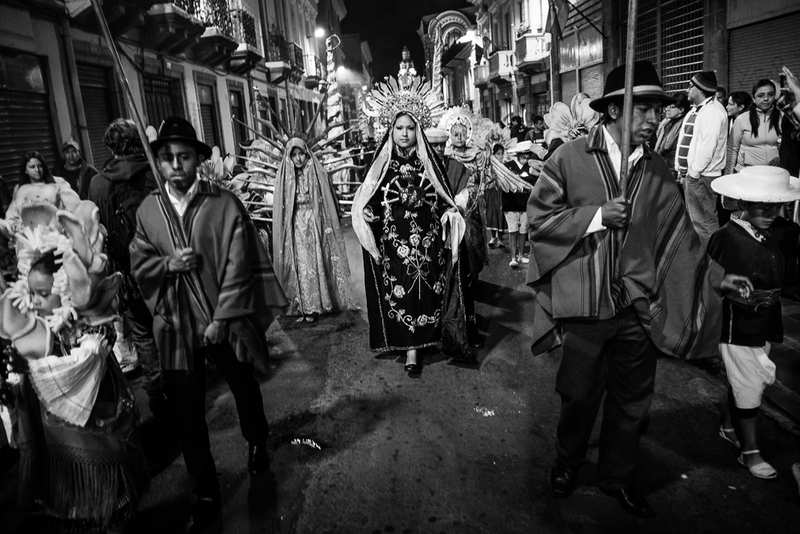 Some images of the "comparsa enmascarada" during Quito's Carnaval celebration in the historic neighborhood of San Blas. February 15, 2015. 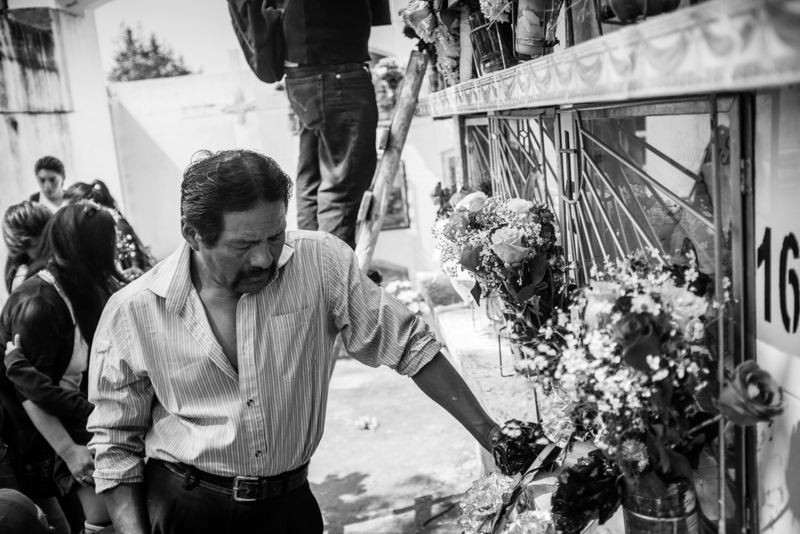 Photos by Bear Guerra.